(Seychelles News Agency) - Hundreds of cats and dogs are being sterilised this month in a free program initiated by the Seychelles Society for the Prevention of Cruelty to Animals (SSPCA) with the assistance of the UK-based organisation Spay Sisters. According to the SSPCA, the programme is targeting 1,000 animals on the three main islands -- Mahe, Praslin and La Digue -- from January 14-23. Veterinarian Maria Tirant said sterilisations are carried out daily at the SSPCA centre at Providence as part of its mandate to reduce the number of strays in the country. The society also does educational programmes. However, this time around, SSPCA has taken the programme to the community level and is conducting a number of clinics across the country. “We are gearing up for the implementation of the new Control and Protection of Dogs Act 2018, where we anticipate getting more requests for this service. 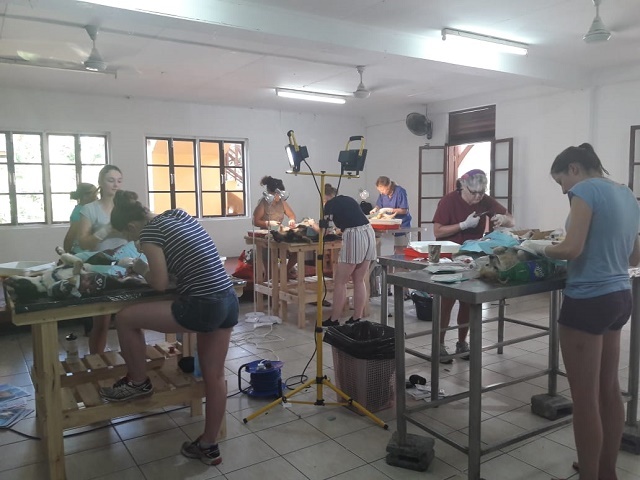 In order to sterilise as many animals as possible, we thought it would be a good idea to seek outside help, and that is where Spay Sisters comes in,” Tirant told SNA. Set up in 2006, Spay Sisters --- a group of ten women vets and veterinary nurses from Britain -- travels around the world to sterilise dogs and cats and at the same time educate the population on how to treat and care for their animals. The group has been to ten countries so far including Sri Lanka, Mozambique and Cape Verde. “We are a team of workers who go on a yearly holiday from work in order to help a country and have a good time. We got invited to go to Romania but Seychelles was more appealing”, said the organisation’s head vet, Ella Stekly. Although the exercise had a slow start, three days into the programme around 300 animals have been sterilised, including 100 in the northern district of Anse Etoile, on the main island of Mahe. “To have that many numbers of unsterilised animals is quite alarming,” said Stekly. However, she was happy with how the animals looked saying they were well fed and healthy. Stekly describes the operation as incredibly tiring and requiring deep concentration and endurance. “Castrates are easy. The most difficult operation is female dogs spay which takes up to 45 minutes and that’s by a trained vet,” she said. The trained vets work alongside vet students, “because we want to put something back into the profession and so help some other people through our work,” added Stekly. 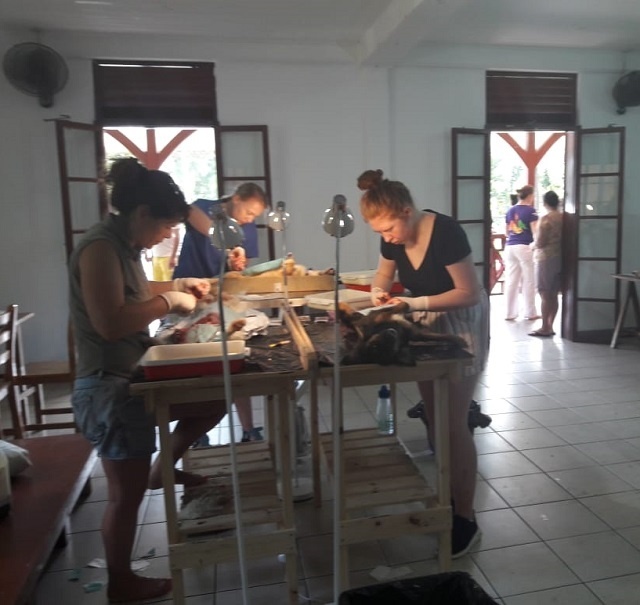 The sterilisation programme is funded by the SSPCA and the government of Seychelles, an archipelago in the western Indian Ocean, through its local veterinary service. Spay Sisters provides equipment and medicines for the operations and each member caters for their flight. In December 2018, the National Assembly -- the island nation's parliament -- approved a new Control and Protection of Dogs bill which hopes to reduce and prevent cruelty to dogs and curb the number of strays which have increased over the years and deal with irresponsible dog owners. The new bill is expected to be enacted once it is signed by the President of Seychelles.